Research has shown that music education can improve students’ academic outcomes, behaviour and self-confidence. However, a lack of music mentoring for teachers often means that these skills are not harnessed as well as they could be. To meet this need, the National Music Teacher Mentoring Program (NMTMP) was launched in 2014, with $594,000 in funding from the Federal Government. The program – implemented under the auspices of the Australian Youth Orchestra (AYO) – is the brain-child of Richard Gill, one of Australia’s foremost music educators and former artistic advisor of Musica Viva In Schools (MVIS). Now in its third year, the NMTMP has reached 5,000 students and upskilled 221 teachers in more than 118 schools in NSW, Victoria, South Australia and Western Australia. Gill told The Educator that he recalled a skeptical principal who was convinced that the program was “just another fad” but told him that he would give it a go. “A principal saying this is far more powerful than anyone else saying it, other than a parent,” Gill said. Gill suggested letting students start out by playing simple percussion instruments “which they can do almost instantly”. “They must also learn to read and write musical notation, in spite of a movement which says that notation is not important,” he said. Gill said that it is important for children to learn about improvisation and make their own music because as they do this they begin to understand how music works. An NMTMP mentor who has taught music in classrooms for 27 years said the opportunity to help schools in desperate need of music education was “the perfect connection” in this stage of his career. “The teachers being mentored displayed a real sense of courage as they all really stepped out of their comfort zones to share music with their classes,” he told The Educator. Musica Viva is another organisation helping schools instil a love of music into students. The Musica Viva In Schools (MVIS) program reaches 1,300 schools nationwide, delivering high quality curriculum-aligned music education. The program’s artistic director, Michael Sollis, said the current state of music training for teachers is such that a teacher can become a qualified primary school teacher “with only a handful of hours of music training as part of their degree or diploma”. “Many of these teachers will be required to deliver music teaching as part of their classrooms. 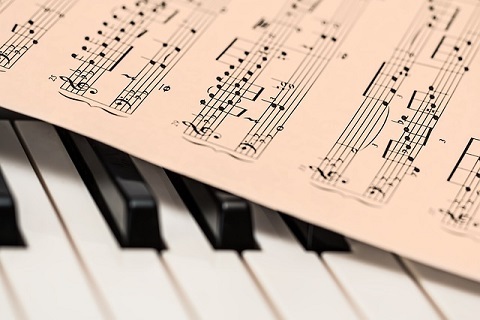 What this means is that many teachers are expected to give students their very first musical experiences with virtually no training or support,” he told The Educator. Sollis said schools are therefore reliant on the individual interests and independently acquired musical skills that teachers may possess to ensure that students have an appropriate musical education. “This is more-or-less rolling the dice as to whether children get appropriate education, and so much more can be done,” he said. What makes a great music department?